After many months of speculation, the Victorian Government has finally released a draft of the minimum apartment standards. The standards are a compromise but none the less a welcome step in the right direction. 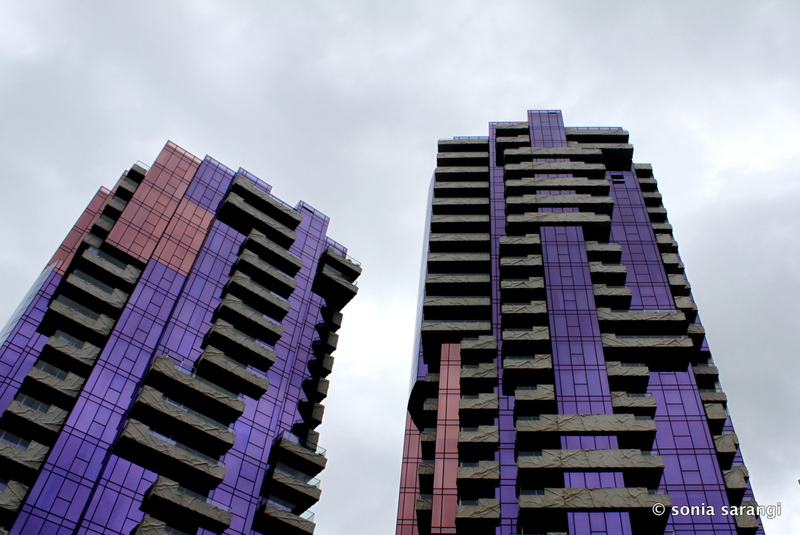 The big headline from Sunday’s announcement, covered here in The Age, is that there will be no minimum apartment sizes, however minimum balcony sizes and accessibility requirements on bedrooms and bathrooms will assist with safeguarding functionality. Habitable rooms, such as bedrooms, living rooms and studies, must have a window visible from all points within the room. This is the end of bedrooms without windows and saddlebag floor plan layouts. The standards will offer a degree of flexibility. In the instance where a particular standard cannot be met, alternative design solutions that meet the overall objective can be considered by council. This will likely placate concerns that the standards could jeopardise design innovation. Reports of the death of South facing apartments have been greatly exaggerated. Towers above 25 metres in height will need building separation of at least 24 metres. This will no doubt be a positive for areas such as the CBD, Docklands, Fishermans Bend and Box Hill, as it will help to protect the cumulative effect that towers can have on the street. It will also help with visual privacy between apartments. By popular demand, storage space has been increased. The draft standards propose a minimum 8 cubic metre storage space is required for a two bedroom apartment and 10 cubic metres for an apartment with three or more bedrooms. Minimum ceiling heights have not been specified, but instead will be linked to the allowable depth of the apartment. There are effectively two categories for this requirement, single aspect apartments that face south and all other apartments. For the purely south facing apartments, a maximum ratio of 2:1 , dwelling depth to ceiling height will be required for habitable rooms. For all other apartments the depth of habitable rooms is capped at a ratio of 2.5 : 1. For these apartments the ratio can be extended if an open plan living area (kitchen, living, dining) configuration is adopted. In these situations, provided 2.7 metre high ceilings are provided the living area can extend 8 metres from the facade. Considering this room depth standard, it would be reasonable to predict that 2.7 metre ceiling heights are bound to become very popular in new apartments, despite not being technically mandatory. 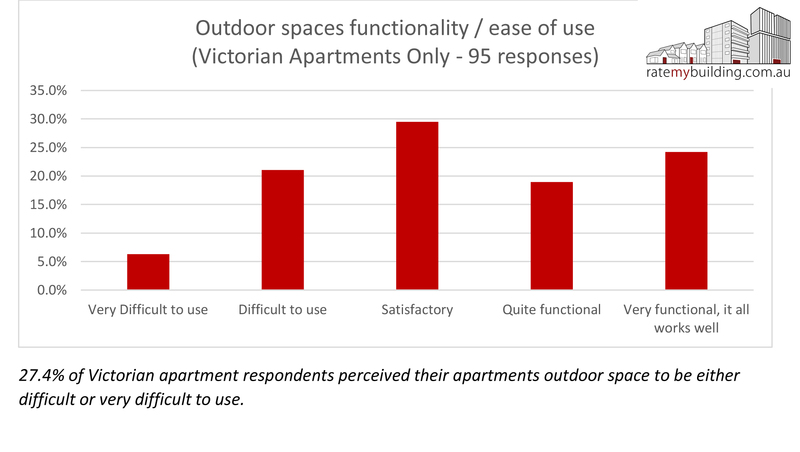 As previously reported here, evidence gathered from RateMyBuilding.com.au suggests that apartment dwellers, just like those living in detached homes, want to be able to entertain guests in their home. With this in mind it is a pleasing to note that a requirement for communal space has been included for apartment buildings with more than 20 dwellings. In practice this could be either indoor or outdoor space as demonstrated by exemplar apartment projects such as The Quays by MCR, Upper House by Jackson Clements Burrows and The Commons by Breathe Architecture. Further enabling social interactions within the home, minimum balcony sizes have been increased. The new minimum area requirements for theses spaces now also specifically exclude any air-conditioning equipment. Finally, whilst it might seem like window dressing at first glance, the draft standards include requirements for deep soil planting and vegetation. Providing opportunities for trees and other vegetation is critical to reduce the impacts of the ‘urban heat island effect’. Studies have shown that this effect is already killing people and that with global warming it is only going to get worse. It is therefore very welcoming to see that requirements for deep soil planting and other vegetation have been included. In addition to providing the draft standards, the State Government has also provided some guidance on how the implementation of the standards will occur. There will not be an overnight change, but rather a three month grace period from the time at which the final standards are adopted. In addition to this, a compliance checkpoint has been flagged prior to a building permit being issued. In contrast with New South Wales apartment rules, SEPP 65, the Victorian Standards are comparatively mild. Logic would suggest that potential apartment sites will lose a small percentage of their value as developers adjust their expectations. This in my view is likely to offset the majority of additional construction costs. It seems incredibly unlikely that we would see an excessive increase in apartment prices as a result of these standards. Nevertheless we have an existing affordability issue that both State and Federal Governments should be addressing. There are multiple policy settings that could adjusted, from taxation, investment regulation and strategic planning, all of which should be a high priority. For the naysayers who are absolutely convinced that we cannot afford these standards, we need to properly consider the cost of doing nothing. Increased deaths from urban heat island effect. Increased impact on global warming through lower efficiency buildings. Probable increase in poor mental health resulting from oppressive dwellings with poor day-lighting and ventilation. Apartments that do not meet community expectations of live-ability will continue to drive suburban sprawl as more people look to options other than apartments. If we are serious about equity, city resilience and the well being of people living in apartments in the future, these standards represent Victoria’s best chance at change. Relying entirely upon the free market is not an option. This entry was posted in all posts, Government Policy, News, Uncategorized, Urban Design and tagged Better Apartments, Breathe Architecture, Jackson Clements Burrows, MCR, Planning Minister Richard Wynne, Rate My Building, Richard Wynne, The Property Council. Bookmark the permalink.